More Clouds in the Palouse! Clouds in the Palouse are always welcome. 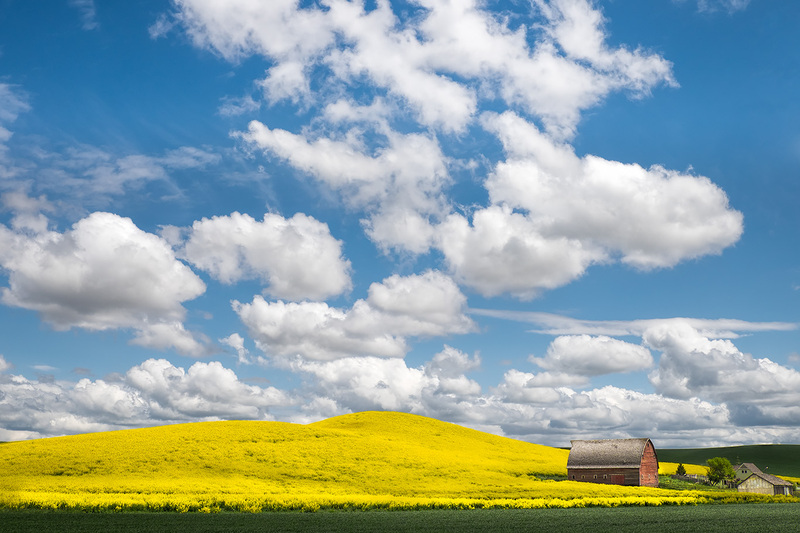 Add clouds to the pastoral, vibrant rolling farm land and you have a perfect combination for landscape photography. 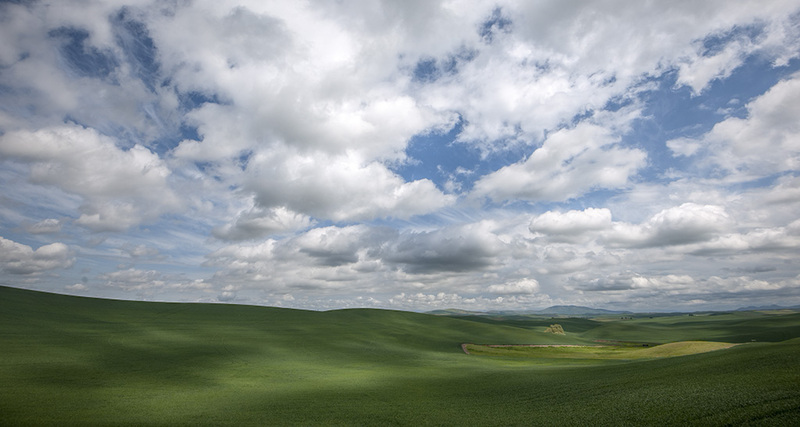 What makes the Palouse even more fun, is to chase cloud shadows as seen is this image. I liken photographing cloud shadows unto shooting fall reflections. I recall being with Tony Sweet a number of years ago at hidden lake in the Poconos. We were both leading groups there when I started throwing rocks into the water to make ripples. About 20 minutes later, I heard Tony say, “how many more of these can I shoot? I’ve just blown through three rolls of film!” We all laughed. Cloud shadows are just as addictive, as they roll through your composition the image continually changes and you find yourself firing off far too many shots but having a blast! We had a great group in the Palouse this year, the images shown were truly amazing and there were many laughs. The response to what Dan and I do in the Palouse has been so overwhelming, we are doing two back to back trips next year. We’ve not yet announced the dates and already have 20 people on a “please can I come” list. If you’re interested in joining us next year, now might be a good time to get on that list as we only have 28 spots between the two tours. Great shot, SkyPrince! As you have indicated, the Palouse is a remarkable photo experience and I highly recommend it. But if you go, be sure to bring extra cards for scenes such as this! You and Dan did your normal terrific job giving us a trip that will be remembered for a long time. Thank you. You’re welcome Scott. Thanks for coming along!